Every effort has been made to ensure the accuracy and currency of information provided on this site. However A Refrigerated Transportation cannot accept any responsibility for errors or omissions. A Refrigerated Transportation is not liable for loss, damage or liability arising from errors, omissions, inaccuracies or any misleading or out of date information whether contained on this site or any link attached to this site. This site is owned and operated by A Refrigerated Transportation. All materials, including images, illustrations, designs, icons, photographs, video clips, and written and other materials that are part of this web site are copyrights, trademarks, service marks and/or other intellectual properties owned, controlled or licensed by AT Web Design, unless otherwise noted. The web site as a whole is protected by international copyright law and AT Web Design owns all worldwide rights, titles and interests to this web site. 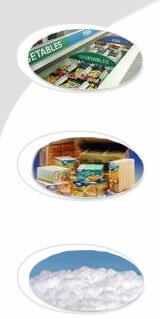 Transport Of Perishable & Frozen Goods (Meat, Chicken, Seafood, etc). To The Sydney metropolitan area and Canberra.